State-run oil and rubber plantations are blocking displaced Karen villagers from returning to their original land. Since the ceasefire between the Karen National Union and the Burma government in 2012 dispossessed villagers in the Tanintharyi region have begun to return to their former villagers. P’doh Saw Eh Kaw, chairman of Ler Mu Lah township, spoke to Karen News about the issue. P’doh Saw Eh Kaw said that if they villagers cannot return to their former homes the ceasefire will mean nothing to them. Karen villages in the Tanintharyi region were forcibly relocated by government troops after 1997. Most of the villagers were relocated to rice-field along the Dawei-Myeik car road and the Myeik-Kawthaung car road. The Border Consortium (TBC), estimates that in eastern Burma, that there are over 70,000 internally displaced people in the Tanintharyi region. 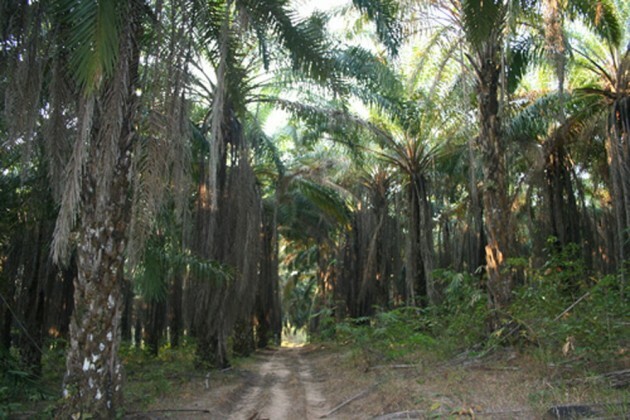 P’doh Saw Eh Kaw said, after the villagers were forcibly relocated the Burma military regime gave concessions to companies to cultivate palm oil in the area – many are located in the abandon Karen villages and the villagers farmland. Forest Trends found that by the middle of 2013, the government had given companies a total of 5.2 million acres in plantation concessions. More than 60% of the concessions were granted in Kachin State and in the Tenasserim Division. P’doh Saw Eh Kaw said the villagers were caught in a hard place. P’doh Saw Eh Kaw admitted the KNU were finding it difficult to help the villagers. Saw Po Ya from Tu Byaw village spoke to Karen News.